Get Involved Help us Keep the LOWELL Folk Festival FREE! 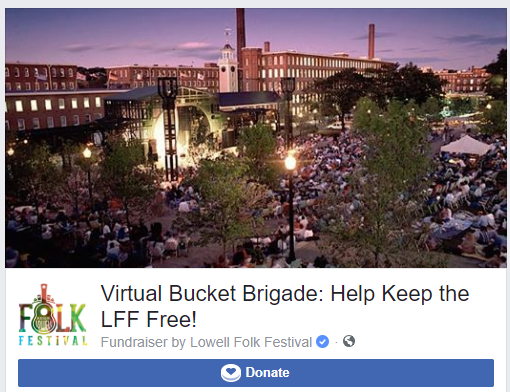 Help us Keep the LOWELL Folk Festival FREE! Help us raise $5,000 for the 2018 Lowell Folk Festival! The Lowell Folk Festival is one of the largest FREE folk festivals in the US, and takes place in the historic footprint of downtown Lowell. Since the first festival in 1987, organizers have maintained the original grass-roots, access-for-all philosophy, and so the festival has kept its unique and distinctive atmosphere – all for FREE! This much-loved event is a perennial summer favorite for thousands of individuals and families looking for free entertainment. The event captures the diversity and historical significance of Lowell, and the imagination of local residents and tourists from around the world. The spirit of the weekend has been characterized as having the power to make us all feel part of something bigger than ourselves, while nurturing a true sense of community. The Lowell Folk Festival is also one of the longest running FREE festivals in the US, and we intend on keeping it that way. For 32 years, it has been organized, planned and orchestrated primarily by a small team of dedicated volunteers who invest thousands of hours each year to produce this $1,000,000 event. As the years have progressed, the Festival has grown, and the costs of producing a large-scale event increase while new costs emerge. We rely entirely on sponsorships, grant funding, and individual donations. Just imagine if every adult in the crowd donated $10…..
Will you help us raise $5,000? This crowdfunding campaign will go a long way toward ensuring that the 32nd Anniversary of Lowell Folk Festival is a huge success. 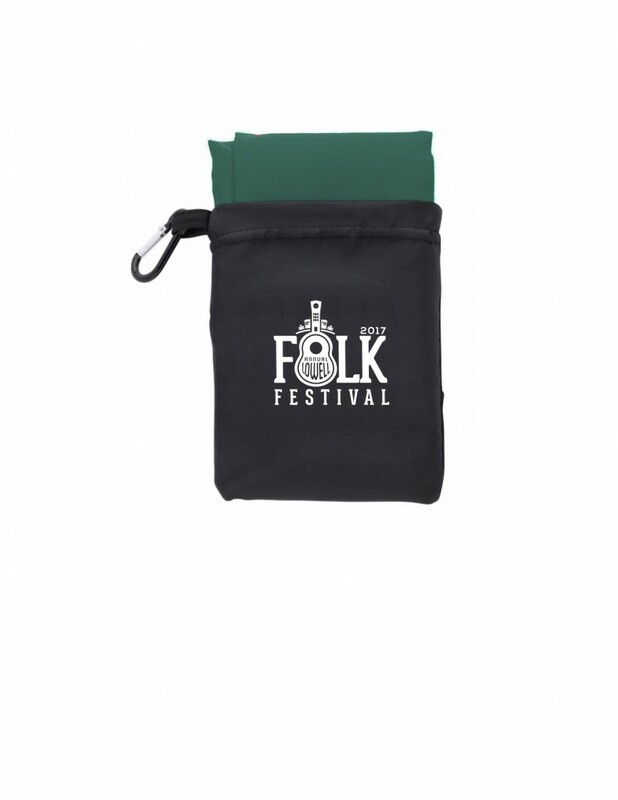 Your Thank You gift can be picked up at the 2018 Folk Festival, BUT ONLY IF YOU DONATE BY MIDNIGHT ON TUESDAY JULY 24TH! Please take a look, pledge your support and then tell everyone, post links to the campaign on social media, phone your friends, send an email to everyone you know, heck – get a megaphone and shout it from the rooftops. 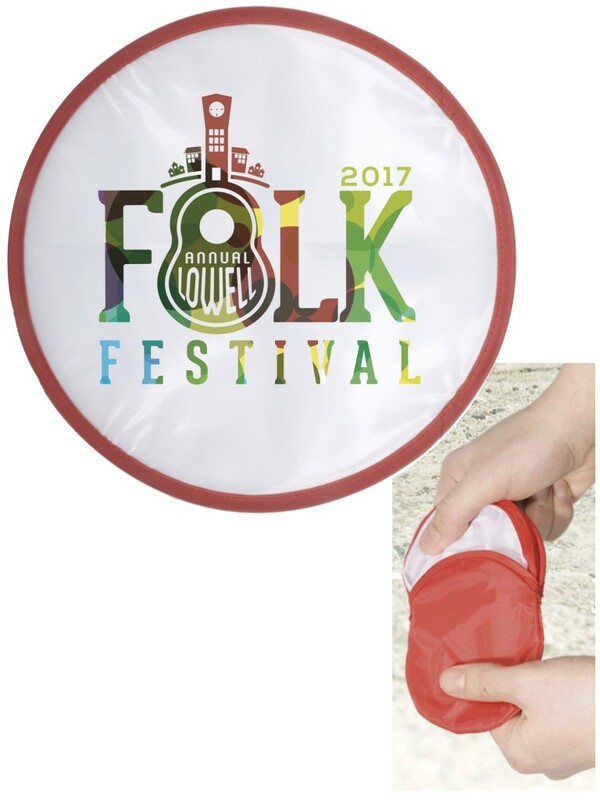 Lowell Folk Festival needs your help, so check out the campaign. Thank You!